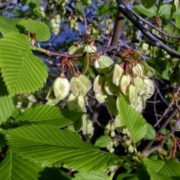 Elms are trees of flowering plants in the genus Ulmus. Large numbers of elms used to grow in cities. 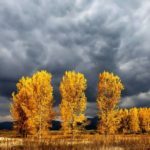 During the 1900s, however, a disease killed many elms. 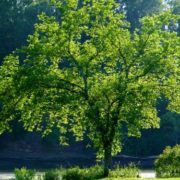 There are about 30 species of elms in the world. Most occur in north temperate regions of North America, Europe, and Asia, and on mountains of tropical Asia. 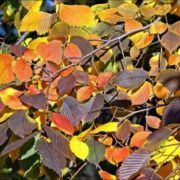 North American elms include the American elm; the slippery, or red, elm; the rock, or cork, elm; the winged, or wahoo, elm; and the cedar elm. 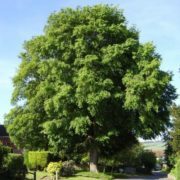 The English elm and the Wych elm are European species. 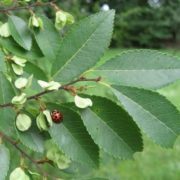 Asian elms include the Siberian elm and the Chinese elm. 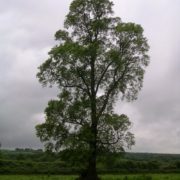 Elms are often about 15 to 21 meters tall. But some types may grow higher than 30 meters. The leaves of elms have jagged edges. 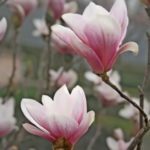 Elms flower in the spring. The flowers grow in clusters and do not have petals. The fruits, called samaras, are flat disks that each hold one seed. 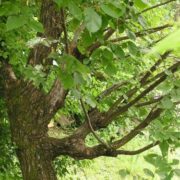 People use elm wood to make boats, farm buildings, or furniture. Before metalworking, elm was used in Europe in water pipes and water pumps. 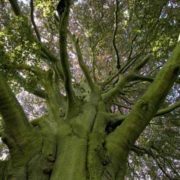 The inner bark of elm, especially of roots, is fibrous and can be made into rope, and string for fishing-line, nets, or snares. 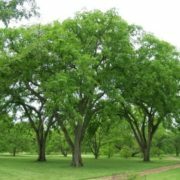 American elm has elegant upswept limbs that arch down at the ends. 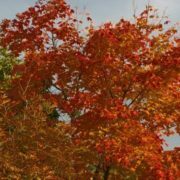 Unfortunately, these beautiful trees are becoming rare because of a devastating disease called Dutch elm disease that was accidentally imported from Europe. 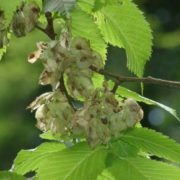 Dutch elm disease is caused by an ascomycete fungus in partnership with an insect, which is an agent in spreading fungal spores from infected trees to healthy trees. 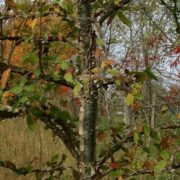 The symptoms shown by infected trees include: yellowing of the leaves, followed by wilting and their premature fall, death of branches causing the crown to appear sparse, and browning of the sapwood. 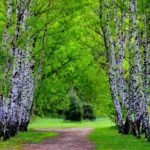 In Russ it was believed that the branches of elm bring not only good luck, but also give courage and strength to the faithful traveler on a long journey. 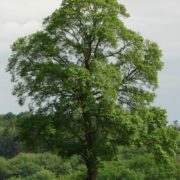 In Christianity, elm symbolizes dignity and is a sacred tree. 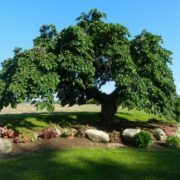 For many people, this tree was a symbol of the mother and birth, a transition to a new life. For the English, the branch of Elm with the vine is the sign of the faithful lovers. 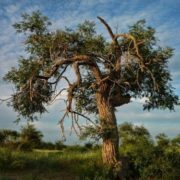 In folk medicine, bark, fruits, and leaves are used. Broth from the bark is used for intestinal diseases. 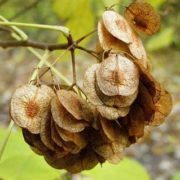 It is also used for the treatment of rheumatism and edema, as well as for skin problems. 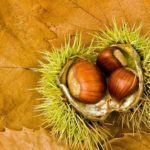 Bark extract is used in medicine as an antibacterial and anti-inflammatory agent. 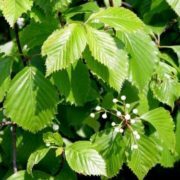 – In Korea there is elm, which is more than 800 years old. 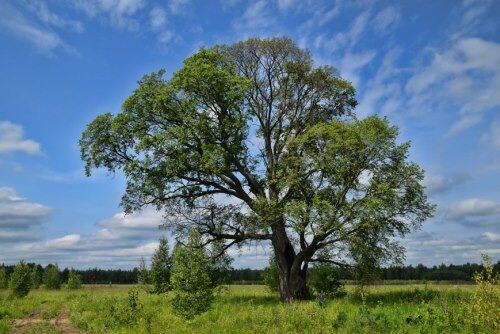 The height of the trunk of this magnificent tree is 7 meters, the diameter is about 2 meters. – In the Middle Ages, elms were used in vineyards as supports. 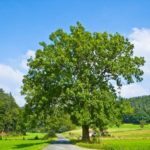 That is why the tree was associated with the god of winemaking Dionysus. 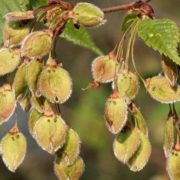 – Elm and its wood have an unusual aroma, acting on humans as a sedative and antidepressant. – In China, elm fruits are used in cooking as one of the ingredients of salads. 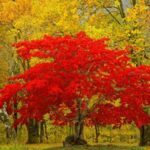 – Elms appeared about 40 million years ago. 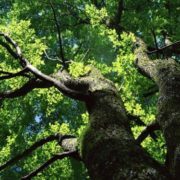 – In the industrial gardening of cities, elm is valued not only by giving a shady crown, but also by being one of the most perfect purifiers of the atmosphere. 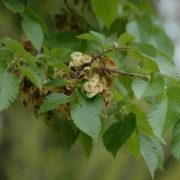 Elm leaves collect dust and soot seven times more than poplar leaves.